The MZES Open Social Science Conference 2019 is over. 80 participants from all world continents (except Oceania) have participated, discussing and practicing „New Standards in Research Transparency and Reproducibility“. The entire conference was live-streamed, sparking vivid debates on twitter with several hundred tweets using the #ossc19 hashtag. If you have missed the conference, you can all watch all keynote speeches, presentations and discussions on YouTube. For several months or years now I have been learning and thinking about the credibility of social scientific research. In the wake of this progress, I thoroughly revised my beliefs about the evidential value of published research findings. When I was conducting my master’s studies and was reading a scientific study published in a scientific journal by full-grown scientists, I believed and never questioned that was I was reading must be true. I knew that some studies were better than others and that scientists occasionally err. Still, when I heard that one of those full-grown scientists claimed that „most published research findings are false“ I was puzzled. 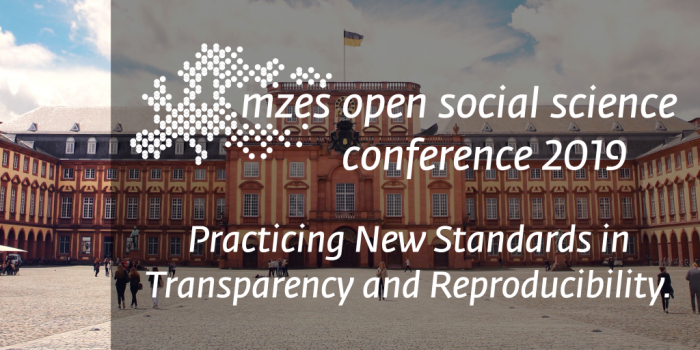 Years later I am being involved in organizing the MZES Open Social Science Conference 2019, which brings together scholars from around the globe to discuss research credibility and what we can do improve it. Now, I have penned a commentary on Open Science with a particular focus on political science. Rather than being fatalistic, the commentary hopes to be analytic and constructive. The article is a review of the existing meta-scientific literature on the credibility of quantitative findings in political science. At best, the paper will serve as a primer for those who are not yet versed in these discussions and it will contribute to the ongoing debates about research credibility. The article is now published online at Springer PVS and will be published in print in the Issue 1/2019 of the German Political Science Quarterly. For which party have citizens voted back in 2013 who cast their ballot for the AfD in 2017? 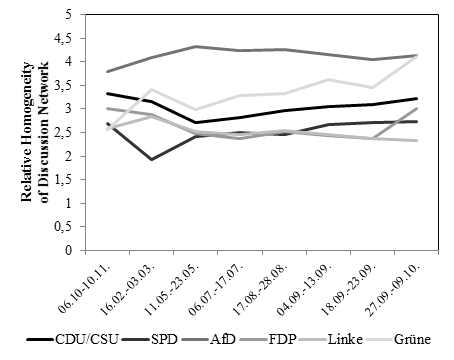 Were these voters AfD-adherents all along or did they abstain at the previous election or were they even voters of leftist parties at the previous elections? In survey research, there are two ways of finding out: First, you can ask citizens after the federal elections 2017 about their vote choice at the recent election and then you also ask them to remember their vote choice at the previous election. The problem is that human beings are bad at remembering things. Just as we forget where we put our keys (only 5 minutes ago!) we also forget who we voted for four years ago. We are very bad at remembering. Research by Ruth Dassonneville shows that only half of those voters who have actually switched party choices between elections do remember that they had switched. Therefore, the better option is having asked those voters already in 2013 about their vote choices and then to ask them again right after the elections in 2017. 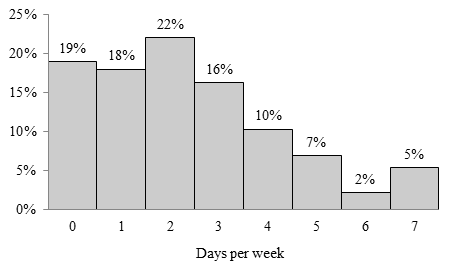 This requires tracing respondents for a long period of time which means a lot of survey administration (and comes with other caveats, such as panel attrition). However, in addition to the accurate recall, such longitudinal survey data provide so many other benefits. For each individual, you can trace how his or his opinions about Merkel and immigrants (and how the personality or individual sense of efficacy changed) over all these years. 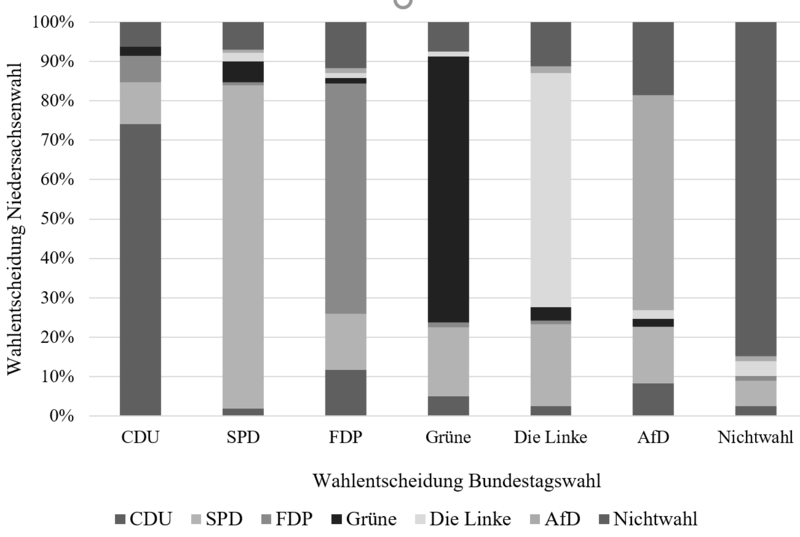 Such a longitudinal dataset is now available for the German Federal Elections 2013 and 2017. 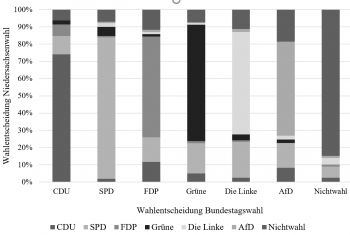 This dataset is provided by German Longitudinal Election Survey. 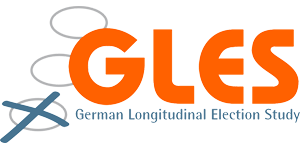 Other GLES panel datasets include GLES 2017 Campaign Panel (web, N=20,000), Long-Term Panel surveys (based on probability facetoface sampling), RCS (2 waves, telephone). With my amazing colleagues Nate Breznau and Eike Mark Rinke, I have the pleasure to organize a conference on a topic that is of personal importance for me. 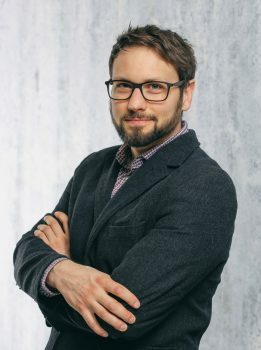 It concerns the practices and politics of doing research and is about establishing new standards of reproducibility and transparency in social science research. Here is our call for papers. Please forward it to friends and colleagues and consider participating. Feel free to contact me with any questions you might have. About a decade ago, John Ioannidis claimed that “most published research findings are false”. While seeming outrageous at the time, a growing body of meta-scientific research in the behavioral and social sciences substantiated this claim, causing uncertainty about the trustworthiness of published scientific findings. We believe that threats to the validity of published findings in the social sciences are widespread and systemic. Therefore, this conference promotes introspection about the current state of social science research and exchange on the opportunities for institutional and methodological improvement in the future. LSE Business Review has published an article of ours (Jungherr, Mader, Schoen, Wuttke) summarizing the paper „Context-driven attitude formation: the difference between supporting free trade in the abstract and supporting specific trade agreements“, published in Review of International Political Economy. Why some people value political engagement and even find pleasure in engaging with politics while others hardly bother about the political domain, is a crucial question for the functioning of democratic societies. In my dissertation, I investigate what we can learn from motivation studies (largely neglected by political scientists) to understand the roots of political engagement. My contribution is to investigate the nonpolitical origins of political engagement in early childhood experiences, more specifically, the level of need satisfaction provided in the parental home during socialization’s formative phase. I had the opportunity to write about these thoughts and the findings from two analyses of longitudinal cohort data at the ISSP blog. Please feel free to provide any comments and criticism. Open Science refers to a broad, transdisciplinary movement aiming to open up research processes to promote the integrity, reproducibility and value of scholarly work, in part as a response to pressing problems facing science. This movement thoroughly changed the field of psychology, and clearly a similar fundamental rearrangement is coming in all social sciences, for example political science, sociology, and communication. 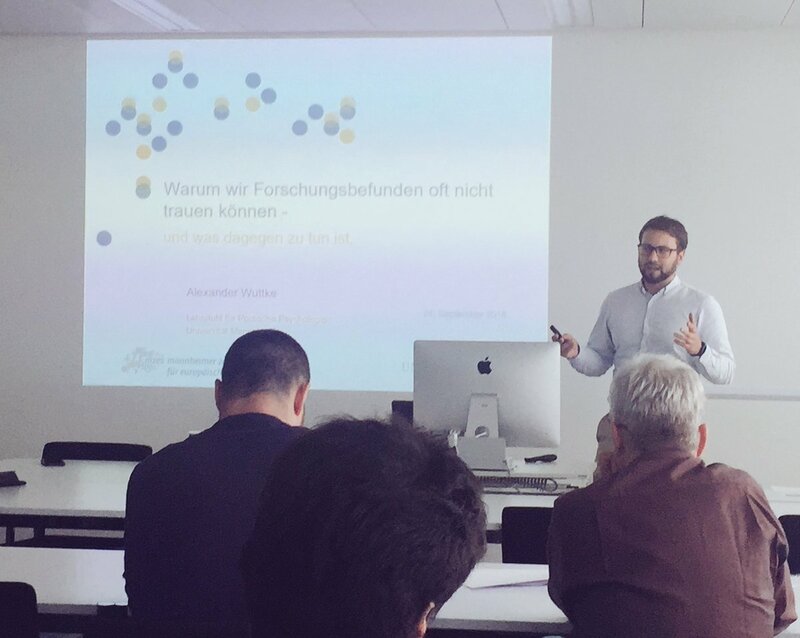 With Nate Breznau and Eike Rinke, I have the pleasure of organizing a meta-scientific conference, which discusses, advances and pushes for Open Science in research on politics and society. Find preliminary information on our website. In June, we will distribute the CfP and information on the crowdsourced replication effort and the pre-registration challenge.